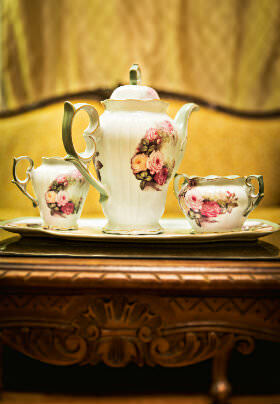 A private tea party at the Downtown Historic Bed and Breakfasts of Albuquerque is an unforgettable event. 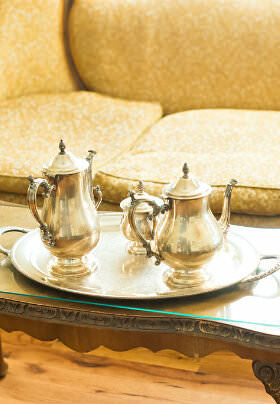 Your tea and desserts will be served on a collection of antique china, silver, white linen napkins, and tablecloths. Also, weather permitting, we can set your tea up in our beautiful backyard, complete with a fountain and a variety of flowers and vegetation surrounding you. It is the perfect setting for your ladies’ club event, book club luncheon, small bridal or baby shower, or just to get together and enjoy a special time with your friends. We ask that you call ahead or email for reservations. 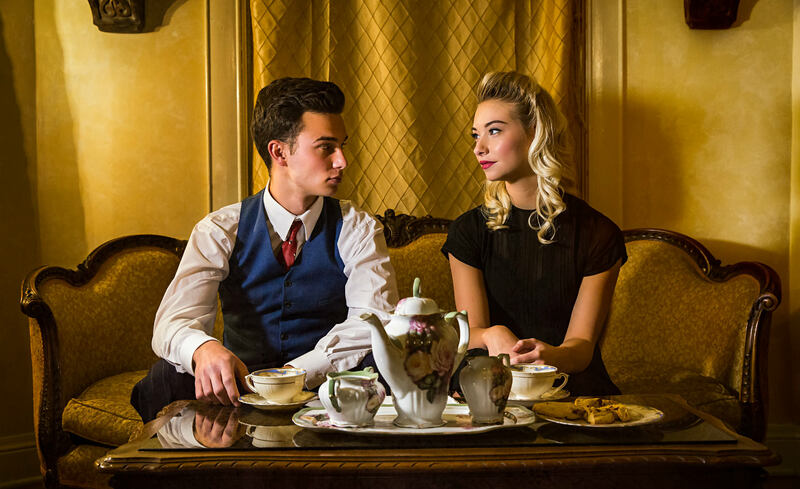 Can be served in the dining room of the Heritage House, Spy House, or outside gardens. Served on personal collection of vintage china & linens. Space available for up to 2 hours. Can only be served between the hours of 1:00pm-4:00pm. Choice of 5 savoires, 2 breads, 1 spread, & 3 desserts. Reservations must be made at least 2 weeks before event. We will need to know exact number of guests attending 1 week prior to tea party (this will be amount charged for event). A credit card number will be kept on file when making reservation. Cut bread into 1” cubes, make a small cavity in each cube by pinching center out. Place cube on baking sheet and brush lightly with melted butter. Place eggs in a medium bowl. Using a pastry blender, cut eggs into fine pieces. Add mayonnaise, mustard, and salt, stirring until combines. Cover, and refrigerate until needed. Using a small scoop, divide egg salad into cavities of bread cubes. Spread butter mixture onto each bread slice and cut into 1 1/2 fingers, discarding the crust. Using vegetable peeler, peel thin ribbons of cucumber. Cut ribbons to bread length and place ribbon on each bread slice.